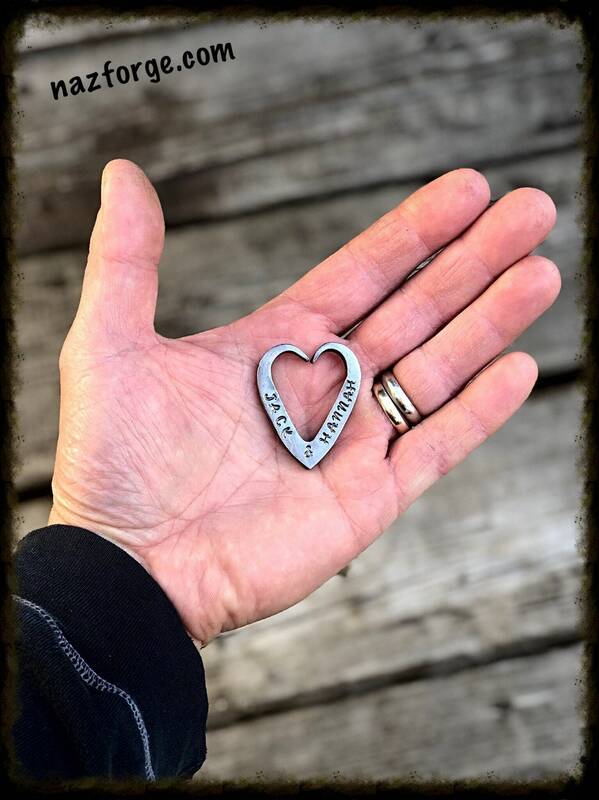 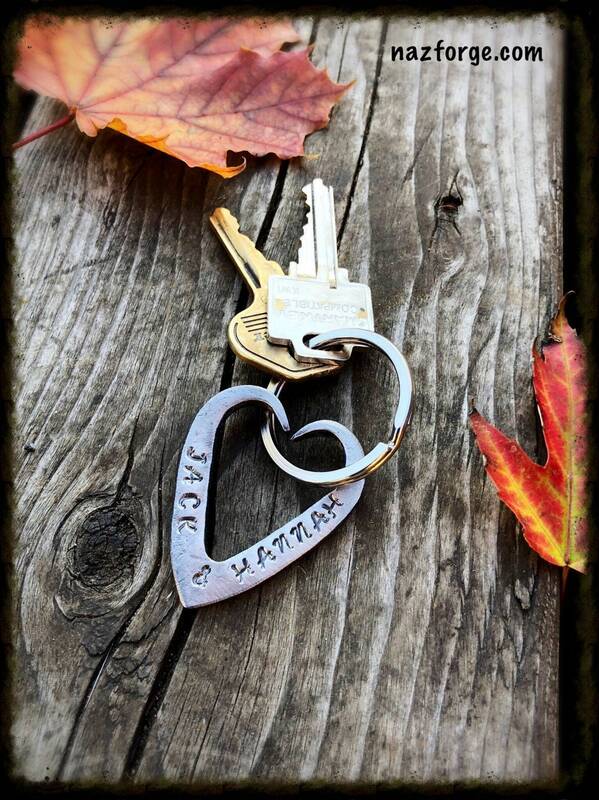 Hearts speak for themselves, but just to be sure here's your chance to have one hand forged and personalized for yourself or to offer as a gift. 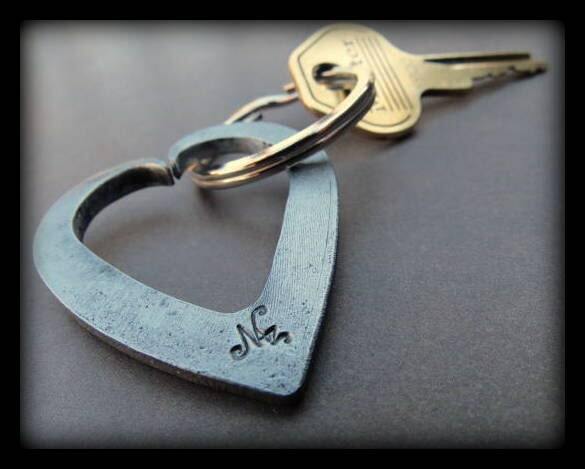 They will be surprised to see their name, nickname, initials, etc... on this fun and useful piece of hand forged art that will last a lifetime. 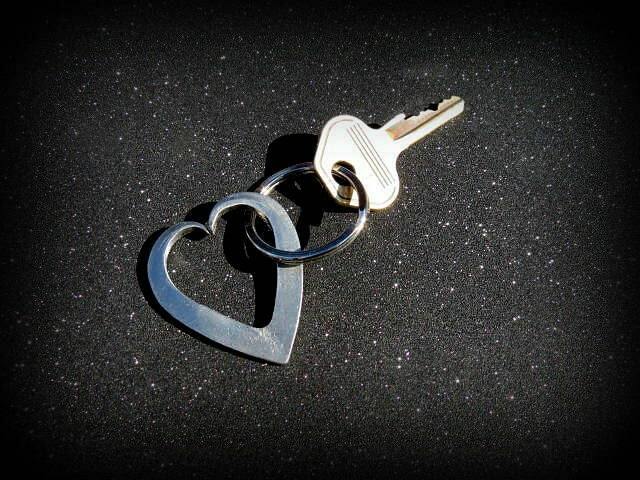 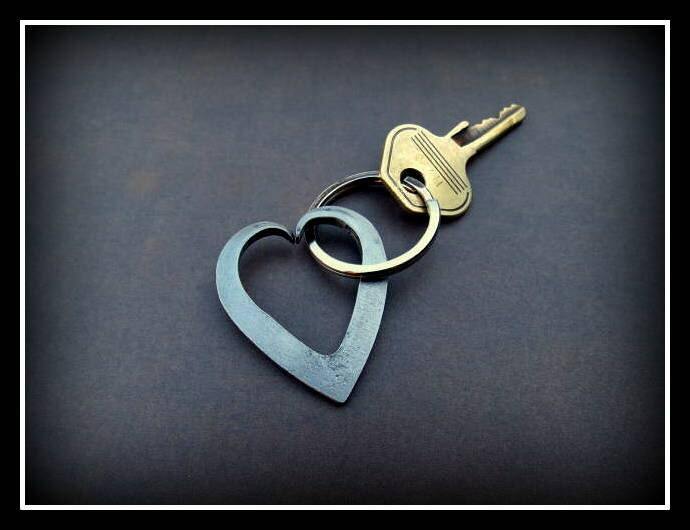 Forged in fire, this heart keychain is done free hand with the hammer and anvil. 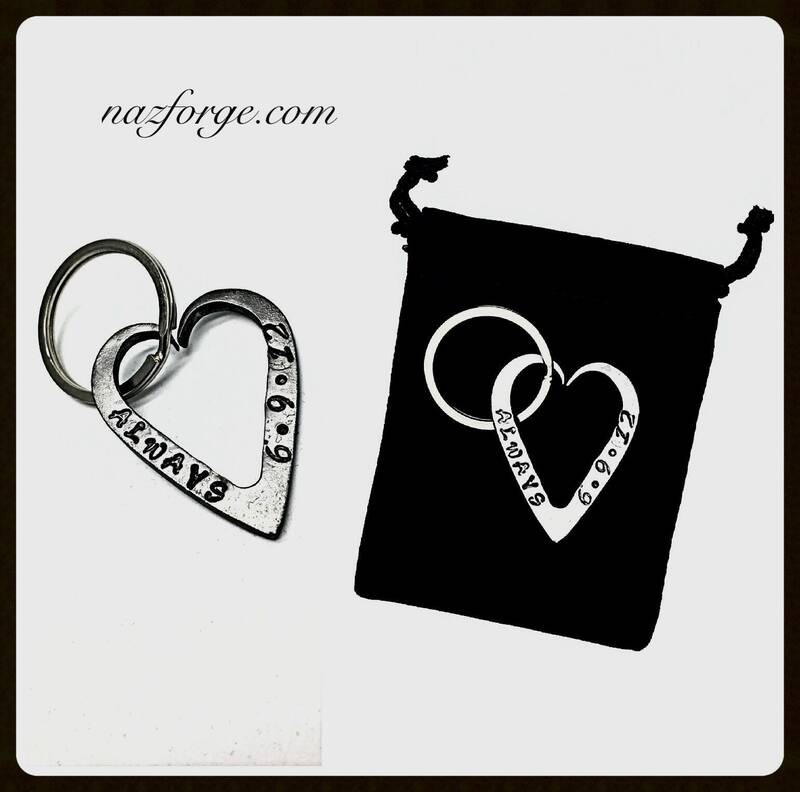 Each heart is signed with my artist signature "Naz" as can be seen in the last photo and comes with a black velvet gift pouch, ready to offer as a gift. 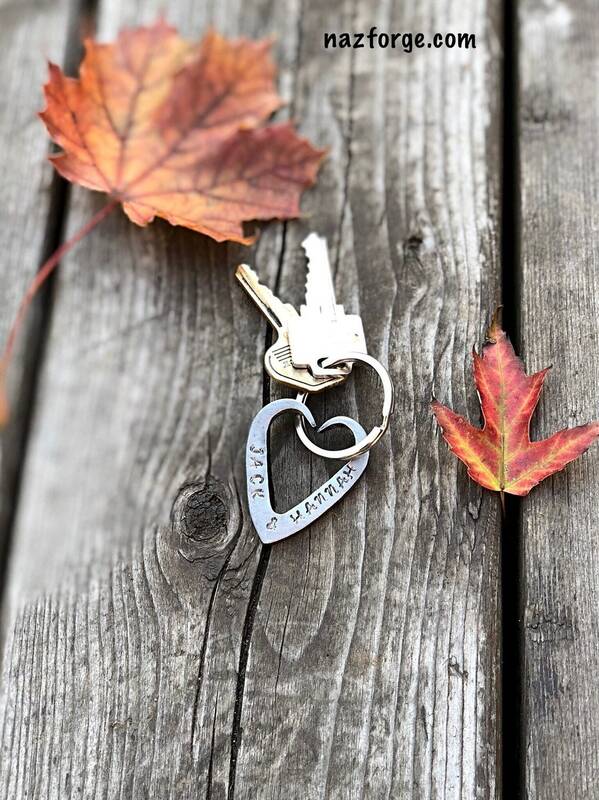 Price mentionned is for one heart keychain. 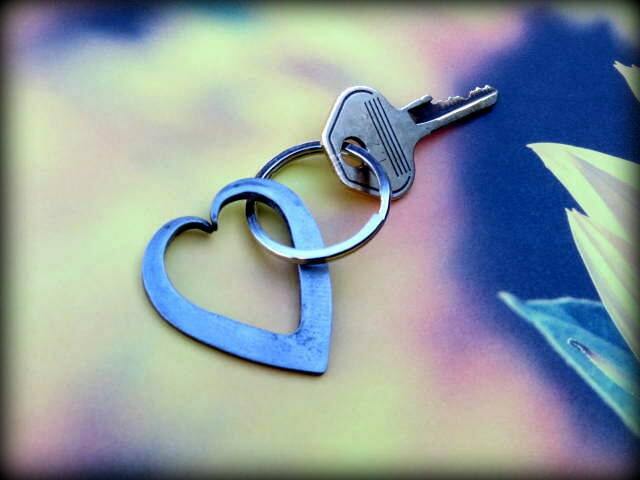 There will also be a "note to seller" section, this is where you can write what you would like to have written on your personalized heart keychain(s). 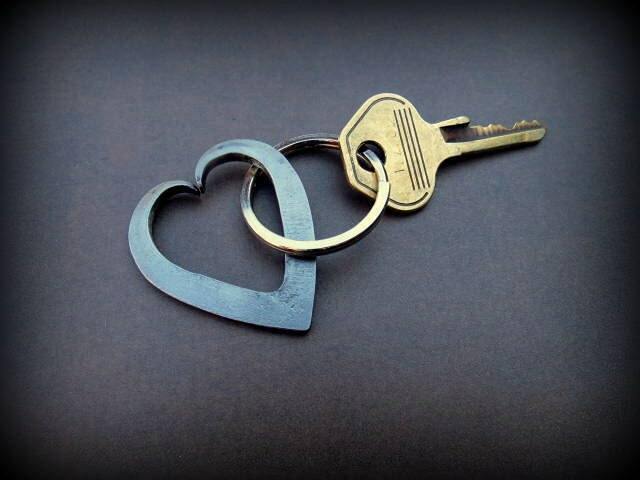 If you have any questions or to get an approximate of time delay that will be needed to make your heart keychain(s), don't hesitate to click on the "contact shop owner" button and I will gladly answer any questions.